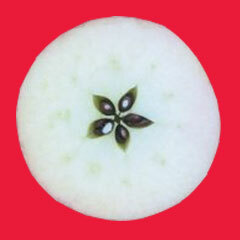 Take an apple round and red. a star as pretty as can be! One whole apple and a knife to cut it with. You’re discovering one of the countless lovely designs in nature. How many others can you find? To read (and follow along with) a participation story about the apple star, see “The Little Red House”on page 113, along with other great Brain Gym games, in Brain Gym®: Teacher’s Edition, 2010. Children’s Double Doodle Halloween Drawings – Fun and Surprising!